Why might I be referred for an exercise test? An exercise test may be requested by your doctor for a variety of reasons. The most common is to further investigate the possibility of underlying coronary heart disease (narrowings in the arteries) and angina. The exercise test has certain advantages, as it allows patients to broadly replicate exertional symptoms they experience during day to day activities. The exercise test is useful to diagnose exertional high blood pressure, known as exercise induced hypertension. This may not be evident from resting blood pressure measurements taken in the clinic setting. It is normal for blood pressure to increase during exercise, however some people have an exaggerated increase causing chest pain and shortness of breath. The test is also useful to diagnose abnormal heart rhythms that in some people only occur during exertion. Where patients are recovering from a heart condition, a supervised exercise test is a good way to reassure them as to the level of exercise that they can manage safely. Those patients who hold Group 2 driving licenses or drive a Taxi, may be required to complete 3 stages of a full exercise test after a heart attack before they can regain their license. What does an exercise test involve? 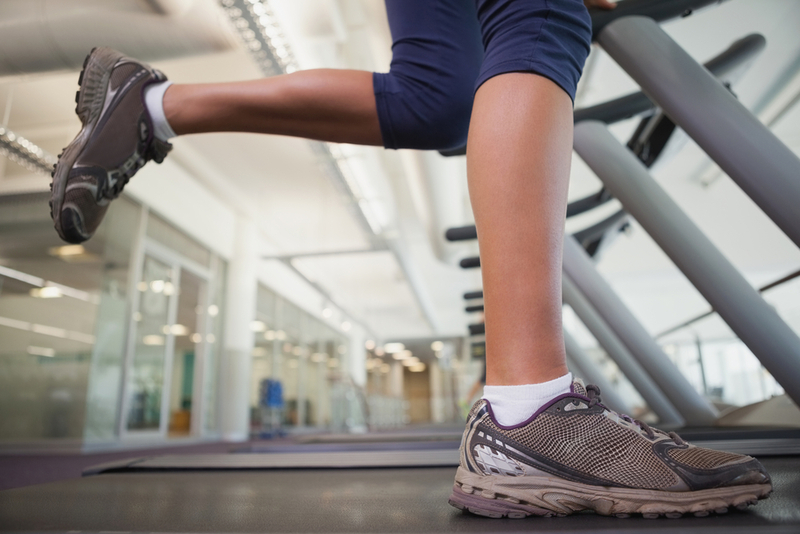 The exercise test involves walking on a treadmill so you should wear comfortable shoes. Before the test begins a cardiac physiologist will connect a blood pressure cuff to your arm and place small sticky pads on your chest and arms. This will enable them to monitor your blood pressure, heart rate and heart tracings as you exercise. You will be asked to tell the physiologist whether you develop any symptoms during the test including any chest pain, chest tightness or if you become short of breath. Before the test begins, the physiologist will take a baseline heart tracing and blood pressure. These are used for reference and comparison to the exercise measurements. There are different types of exercise protocols that vary the speed and intensity of the exercise. The most common of these is called the Bruce protocol. This involves the treadmill starting at a slow pace on the flat. As the stages progress, the speed increases to a gentle jog and the treadmill lifts to a gentle incline, increasing the workload. The more you are able to do during the test, the more able your doctor will be able to exclude significant underlying problems. What should I avoid before the test? You should avoid anything that contains caffeine for at least 24 hours before your exercise test. This includes coffee, tea, caffeinated soft drinks and chocolate. You should also avoid smoking on the day of your test. This is because caffeine and cigarette smoke can affect the results of the test. Should I take my medication before the test? Your doctor may ask you to stop certain medications for 48 hours before your test. Some cardiac medications can limit your heart rate such as B blockers. This may make the test results hard to interpret, as they can prevent your heart exercising sufficiently. Advice varies depending upon the individual patient and if you are unsure you should always check with your doctor. What is your doctor looking for? They will want to know whether you reported any worrying symptoms during the test, but will also review your heart tracings for abnormalities that may indicate underlying heart disease or abnormalities of your heart rhythm. The doctor will be looking for an appropriate increase in your blood pressure and will want to exclude any drop in blood pressure on exercise which is a concern. This depends how long you are able to exercise for. Most tests are stopped after 9 minutes of exercise and then you will be monitored for a short period while you recover. The entire test including getting ready usually lasts around 20 minutes. What if I am unable to run on a treadmill? Normally your doctor will have checked whether your mobility is suitable before booking you for an exercise test. If you really are unable to exercise then there are alternative tests including a stress echocardiogram, myocardial perfusion scan or stress MRI scan which may be performed.